GREENBELT, MD (WUSA9) -- A dramatic turnaround for a former top judge in Charles County. 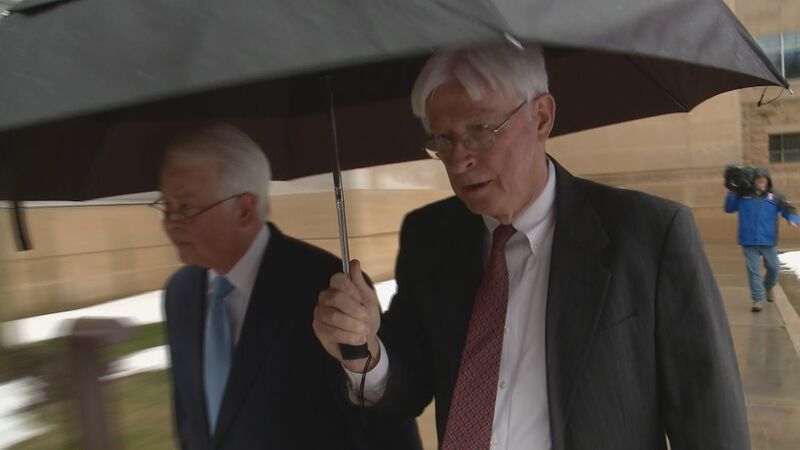 Judge Robert Nalley was in a federal courtroom Monday in Greenbelt as a defendant, pleading guilty to depriving a man of his civil rights under color of law. The former judge betrayed not a hint of emotion as he pleaded guilty to ordering a deputy to send 50,000 volts of electricity coursing through a defendant who was representing himself and refused to be quiet. Judge Nalley declined to offer any comment after pleading guilty in federal court to a single count of deprivation of rights under color of law. Victim Delvon King was there to see what he hoped would be justice. "This is a court of law where the law should be upheld." King was in Nalley's Charles County courtroom in July 2014 on gun charges. He'd tried to escape before, so sheriff's deputies attached what's called a stun cuff to his ankle. King was representing himself, and he kept talking after the judge twice told him to be quiet. So Judge Nalley told the deputy: "Mr Sheriff, do it... use it." At that point, the court transcript simply says "DEFENDANT SCREAMS." "Excruciating pain then, and a burning sensation," said King. "It burned the rest of the day. Messed me up mentally." The shock knocked him to the ground. "I don't really remember that part. Just next think I know, I'm on the ground." The U.S. Attorney says Judge Nalley's conviction should send a loud and clear message that no one -- not even a judge sitting in his own courtroom -- is above the law. "It's not about race. It's about power. It's about a judge who abused the power vested in him to order a defendant to be punished essentially before he was convicted of any crime." The deputy who delivered that painful jolt to Delvon King has not been disciplined. But he and all the other deputies have since been retrained. And the sheriff's office says it is now clear that the only person in the courtroom who can decide to trigger the stun cuff is the deputy -- not the judge. Judge Nalley's lawyer and prosecutors have agreed that one year of probation is an appropriate sentence. But it will ultimately be up to a federal magistrate judge to decide whether the former judge should go to jail.